You can read it online at Uncanny Magazine (it’s listed as a reprint in the July 2017 issue, but the original publication date was April 2017, which makes it eligible for awards! 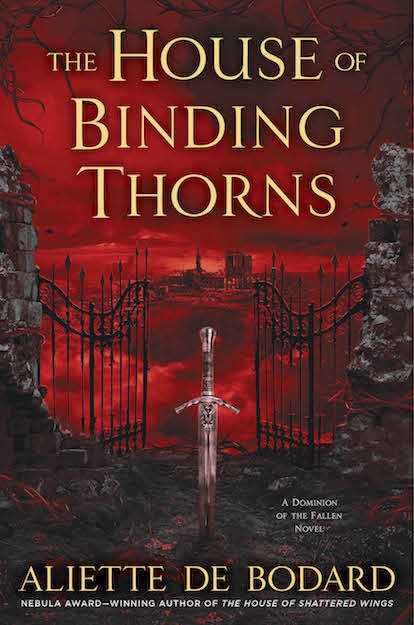 The original publication was as a pre-order reward for my novel The House of Binding Thorns: it’s a standalone set in the universe, though you’ll get some Easter eggs if you’ve read the books.). Fran Wilde’s “Clearly Lettered in a Mostly Steady Hand” is an amazing gut-punch of a read–about the people we see and the ones we don’t, and how quick we are to deny people their humanity. Rebecca Roanhorse’s “Welcome to your Authentic Indian Experience ™” is a strong read about Native American culture, appropriation and all the ways in which it hurts. Elaine Cuyegkeng’s “House that Creaks” is the sort of horror story that just sticks in the mind long after reading it–about a haunted house and how it became that way, and political dissidents, and the force of memory and sorrow and anger. ETA: oops, this is from 2016! Nghi Vo’s “Twelve Pictures from a Second World War” manages to use its very brief amount of words to picture something haunting with sense of loss–and to show us a side of WWII in non-Western countries that often gets set aside in SFF. Rose Lemberg’s amazing novella, “A Portrait of the Desert in Personages of Power” (Beneath Ceaseless Skies) is a masterpiece of worldbuilding that brings together two very different characters with vastly different histories, and tracks the consequences of their meeting–effortlessly rich and romantic, laden with worldbuilding that both feels familiar and strange, this definitely stuck with me long after I’d read it. 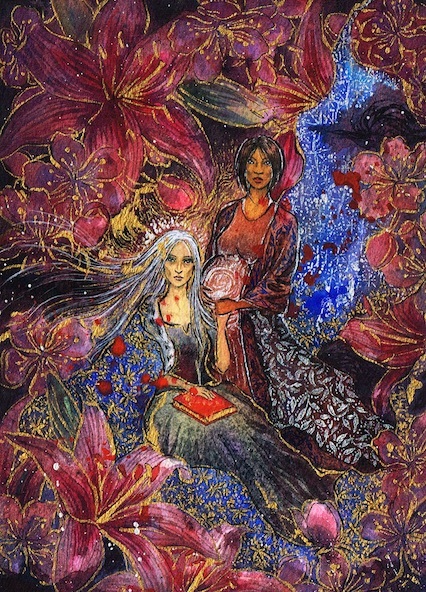 And Likhain’s art continues to be amazing: she was up for a Hugo this year for Best Fan Artist. 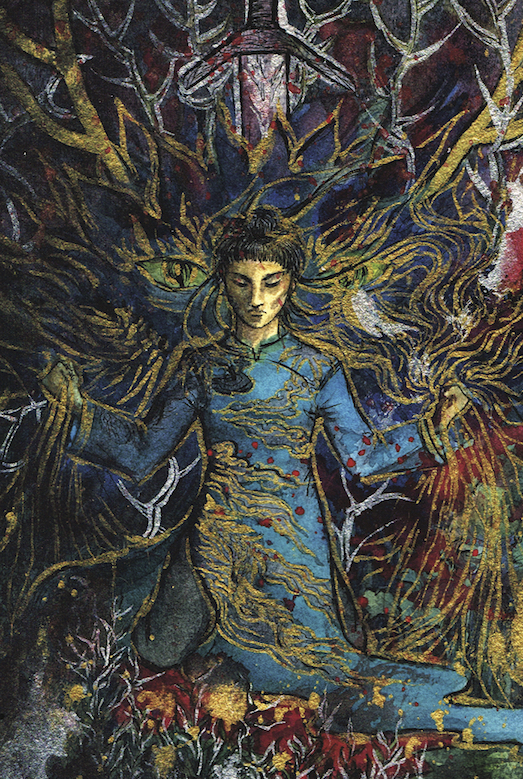 Below are two of the pieces she did as promo art for The House of Binding Thorns–she’s still eligible this year in Best Fan Artist, if you’re so minded to nominate her. Foz Meadows’s A Tyranny of Queens is superlative portal fantasy: an epic cast of characters, wonderfully drawn societies and a thoughtful, nuanced treatment of abuse and PTSD. Only drawback is you’ll have to read the first book, An Accident of Stars, but trust me, it’s totally worth it. ADDED: KJ Charles Spectred Isle is queer historical fantasy and so much fun–set just after WWI and featuring an arrogant occultist and a jaded archeologist, it deals with London, ghosts, fen-monsters and growing and inevitable attraction! Cindy Pon’s Want is a fast-paced look at a dystopian Taiwan where the gulf between haves and have-nots is counted in years of good health. 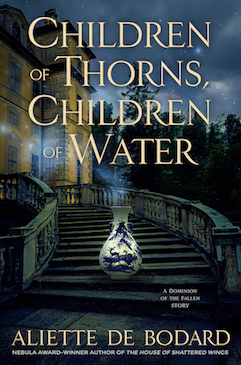 Kate Elliott’s Buried Heart brought her Court of Fives trilogy to an awesome end, and tackled colonialism, revolutions, history and the way people have to make hard and impossible choices. I loved that Jess continued to have a relationship with her entire family, and all the different roles for characters from domestic to military. Victor Fernando R Ocampo’s The Infinite Library and Other Stories is a breathtaking short story collection of loosely linked stories that run the gamut from whimsical to dark, but always infused with a sharp perception of what makes people. It’s a mite hard to find in the West as the publisher is based in Singapore but it’s well worth a read if you can track it down. Dimas Ilaw’s “The Shape of the Darkness as It Overtakes Us” is a gut-wrenching and utterly necessary read. I feel like Liz Bourke, D Franklin , Bogi Takács and Charles Payseur have been doing excellent work of reviewing and writing about genre this year, with an eye to boosting stuff that often gets missed, so do check out their work! Also check out: JY Yang’s Red Threads of Fortune and Black Threads of Heaven (novellas), Corey White’s Killing Gravity (novella), Malka Older’s Null States (novel), Karin Tidbeck’s Amatka (novel), Fonda Lee’s Jade City (novel).